Texas Democratic Senate candidate Beto O’Rourke doesn’t like to be called a socialist. Why then, does he employ several Marxists on his campaign? 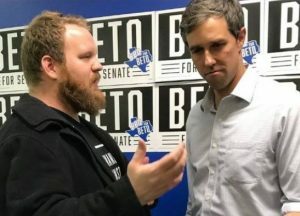 Why does Beto hang around with Democratic Socialists of America (DSA) supporters and other radicals? DSA, despite its name, is a Marxist/communist organization. 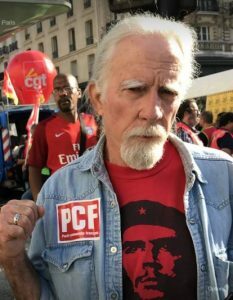 Austin DSA member David Hamilton pictured here in Paris wearing a French Communist Party sticker and a Che Guevara T-shirt wrote November 30 2017 on Facebook that DSA has “some standing” with Beto O’Rourke. 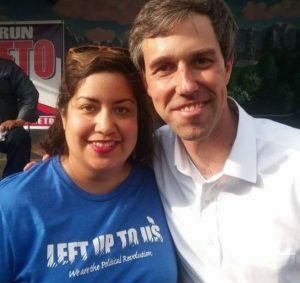 O’Rourke with Austin DSA executive member Monica Olvera May 2017. 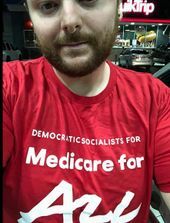 DSA supporter Zack Malitz is Beto O’Rourke’s Field Director in Austin, Texas. 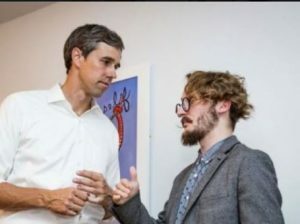 Beto O’Rourke with Kolby Duhon, an Austin DSA supporter, and a leader of the Texas Young Democrats Socialist Caucus, October 2017. Beto O’Rourke with Mike Lewis, an Austin DSA supporter, May 2018. 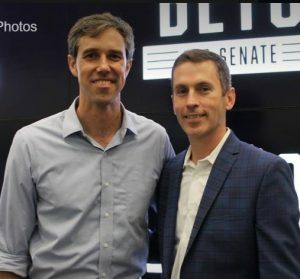 Beto O’Rourke with Mike Siegel, August 2018. Texas (10) Democratic candidate Mike Siegel, is the son of Oakland California lawyer Dan Siegel, a former leader of the pro-China Communist Workers Party. Mike Siegel works closely with Austin DSA and Williamson County DSA and employs Austin DSA leader Jacob Aronowitz as his field director. DSA member Edward Z. Perkins is a Community Activation Team organizer for Beto for Texas, based in Fort Worth. 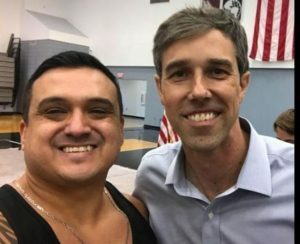 El Paso DSA supporter Javier Aaron Paz is a Beto O’Rourke campaign volunteer. 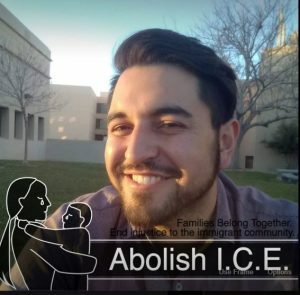 El Paso DSA leader Dominic Eduardo Chacon is a Field Organizer at Beto O’Rourke for Texas. 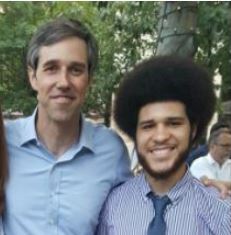 O’Rourke with San Antonio Young DSA supporter Sean Omar Rivera, April 2017. Rivera runs the leftist voter registration organization MOVE Texas. 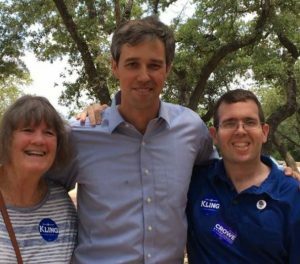 Beto O’Rourke with Austin DSA members Claudia Corum and Mickey Fetonte, August 2017. Beto O’Rourke with Mickey Fetone again, and Austin DSA supporter Joey Gidseg, Austin DSA member Judy Holloway, Austin DSA affiliate Mary Ward September 2018. If you’re not convinced that Beto O’Rourke’s friends are communists, check out these LA DSAers in action. 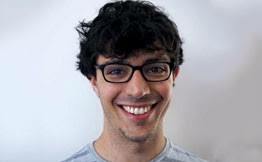 Trevor: This is the kind of reporting we expect from KW and its supporters. Photos tell more than stories in many cases, and this is one. I hope you are sending this to the Cruz campaign. Even if they don’t use it, at least they will know more about their Marxist enemies, and that gives them an advantage in countering them. As for Texas Antifa and Red Guards, let them have at it. Eventually they will be arrested and exposed as national security threats. 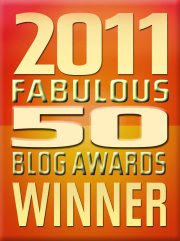 KW is one vehicle for doing this. The past will always come forward when running for an elected office, pictures do not lie, Beto just hung his own chances for being elected. 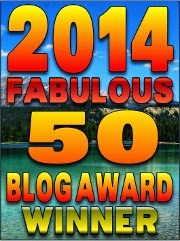 Many more reasons to vote for Ted Cruz , Red all the way !! The democrat party is the communist party . 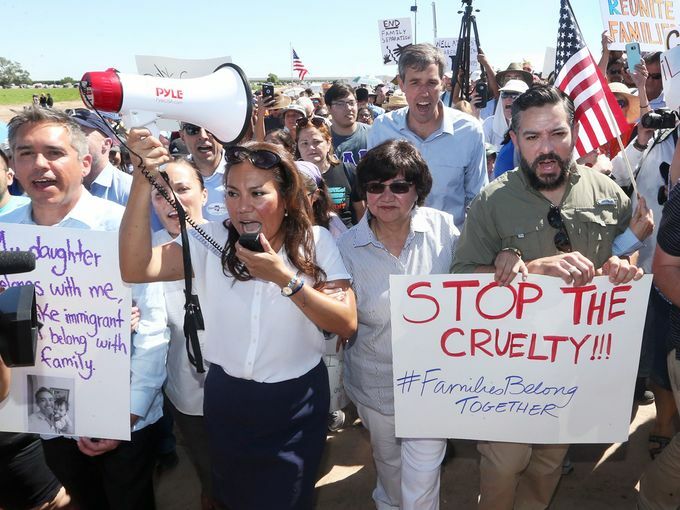 The marxist Valdez who is running for governor is standing right in front of O’Rourke. 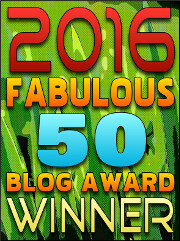 In her debate against Greg Abbott she said “pay your fair share” several times. Registered Dem voting Rep since the elder Bush got elected. Someone needs to get this to the media so others will know..